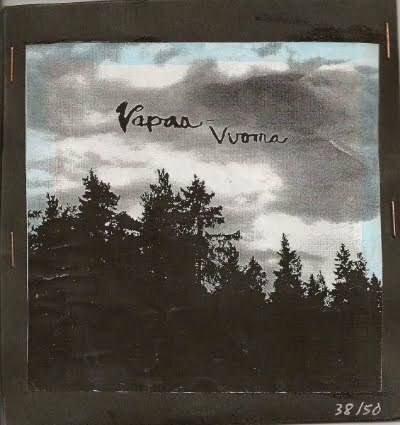 Following my recent post of their Jamit Tai Ei Mitaan CDR, here's Vuoma, a momentary 50 copy flicker in the shambolic saga of the contemporary Finnish underground and their countrywide obsession with all things detuned. The particular collective at hand here (along with their individual members' pursuits) is one that I've covered at length elsewhere. Featuring pivotal Finnish scene operative Keijo Virtanen and cohorts from his Free Players ensemble, Vuoma comes off about as insular and functionally disabled as they've ever been on record, all stumblebum string abuse, queasy squeezebox wheeze and disconsolate wobble, with the results sounding as if it were recorded on a dictaphone and played back on a dying Victrola.